The Algarve is the Southernmost region of Portugal. Before visiting I had always associated it with retired expats and plastic white motor-homes. After spending a month here exploring, however, I’m starting to see why so many people flock here during the Winter months. If you travel North from the coast, away from the tourist areas, you get to see the real Portugal. There’s so much free space and the ruins of old buildings are a common sight. The roads can be a bit treacherous. Sometimes they’re just tiny, winding, unpaved tracks with no signs. I don’t normally go more than 10mph on these roads, the whole van shakes so much! I’m still here, and I love it. 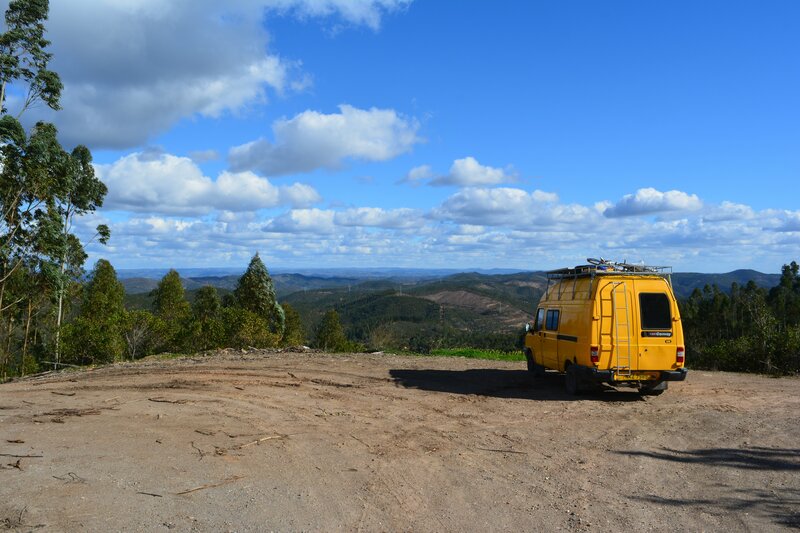 There’s a huge community of van dwellers in Portugal and there are loads of different events each month to meet other people and socialise so you never really feel alone. I’ve met loads of musicians around this area and have recorded some really nice sessions. Now I just need to find somewhere I can stay for a while to sort everything out and process the recordings. Here’s a tasty snippet of something I recorded whilst at a hippy market.